A mad evil scientist has come up with a way to shape-shift and see in the dark, but the army wants him dead. Take control of the scientist and blend in with the environment to take out the military soldiers, or become a member of the army grunts to stop the scientist from escaping his lab. 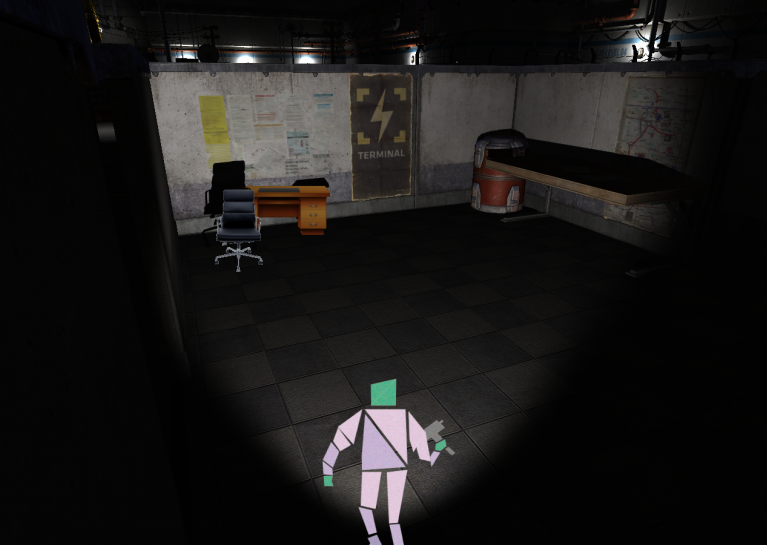 As the scientist, you can assume the form of any 2-dimensional object in the environment, or one of the soldiers if you can get close enough, and either hide or wait to ambush the soldiers as they wander past. You are restricted to a powerful melee attack, which does bonus damage from behind. Use your shape-shifting ability and enhanced vision to fool your enemies and plot your escape! As a soldier, your view is restricted to a flashlight, but you are armed with an automatic rifle. Be careful what you shoot at however, as you have limited ammo and the army aren’t sending in any resupplies! Communicate with your fellow players and track down the scientist before he creeps up behind you. Doppelganger was created at the 2015 Global Game Jam by myself and an additional developer and an artist both of whom I met at the event. 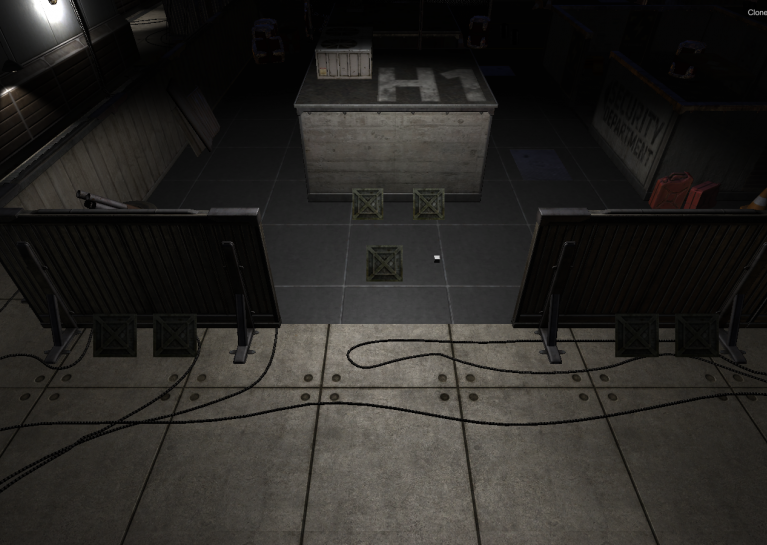 The idea is heavily inspired by the Prop Hunt, a game mode made popular by Garry’s Mod. 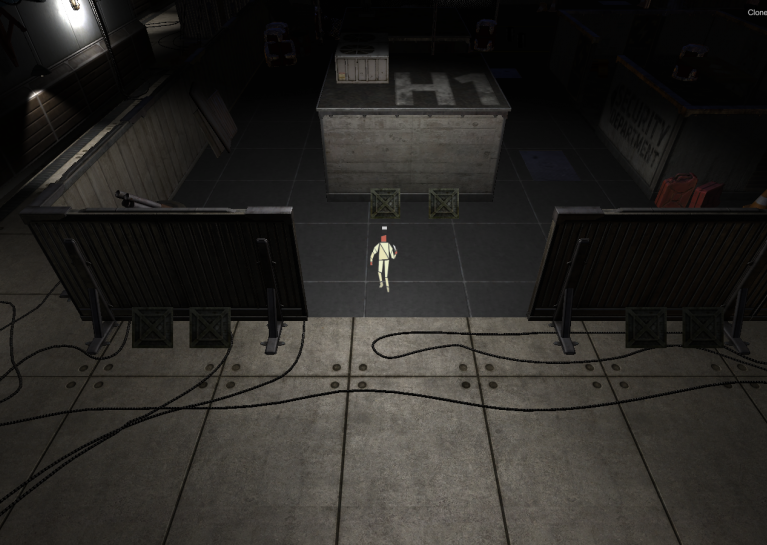 The game combines 2D and 3D art to differentiate between interactable and static objects: players and objects are 2D while the environment is 3D. Another twist is that the scientist plays from a 3/4 perspective providing a clearer view of their surroundings while the military have a more traditional 3rd person behind the player perspective which greatly limits their awareness.